The report analyses the fiscal and macroeconomic environment in the lagging regions and the relevant Member States of the EU, as a sound and sustainable macroeconomic framework is a necessary, but by itself not a sufficient precondition for investment and growth in the regions. It starts with identifying relevant indicators to highlight the macroeconomic environment in the lagging regions, assessing the performance of the regions across these indicators, and establishing a framework which sets out the potential causes of these imbalances. 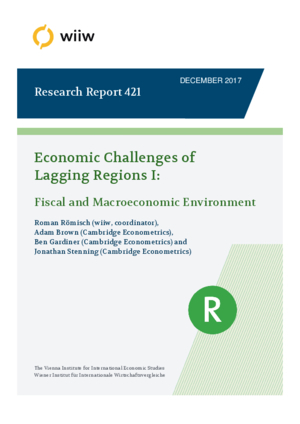 This sets the scene for further analysis of the transmission mechanisms which cause the regional discrepancies in these Member States between the lagging and the non-lagging regions, as well as exploring the differences between the low growth and low income lagging regions. The report concludes with a summary of these findings and how they could be used as a basis for policy recommendations which might improve the economic performance of the lagging regions.